The House of Honey specialises in Raw Honey. Raw honey means all the natural vitamins and living enzymes and other nutritional elements are preserved. Raw honey is the most original sweet liquid that honeybees produce from the concentrated nectar of flowers. Collected straight from the extractor; it is slightly warmed for free flow to bottle but largely unheated and unpasteurized. Raw honey is an alkaline-forming food. This type of honey contains ingredients similar to those found in fruits, which become alkaline in the digestive system. It doesn't ferment in the stomach and it can be used to counteract acid indigestion. When mixed with ginger and lemon juices, it effectively relieves nausea and supplies energy. Raw foodists loves honey for its exceptional nutritional value and its amylase, an enzyme concentrated in flower pollen which helps predigest starchy foods like breads. 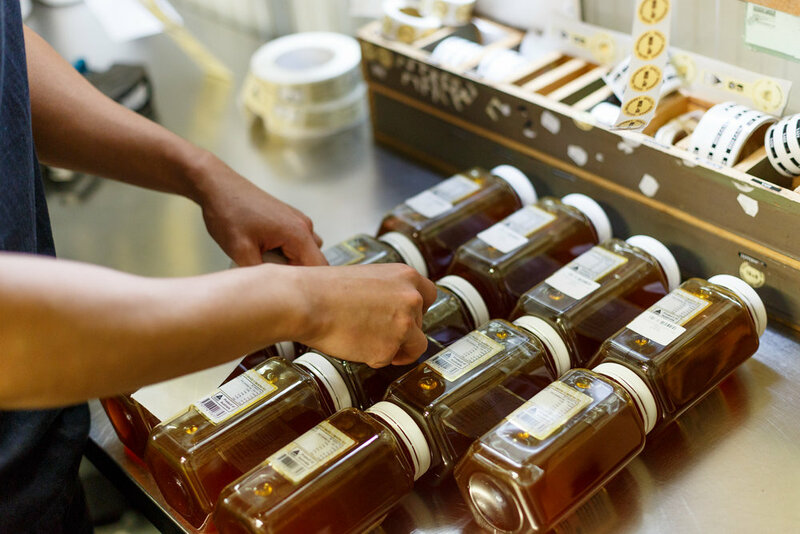 A lot of honey found in the supermarket is not raw honey but "commercial" regular honey, some of which has been pasteurized (heated at 70 degrees Celsius or more, followed by rapid cooling). This enables easy filtering and bottling so that it looks cleaner and smoother and more appealing on the shelves. It is easier to handle and package in such large volumes. 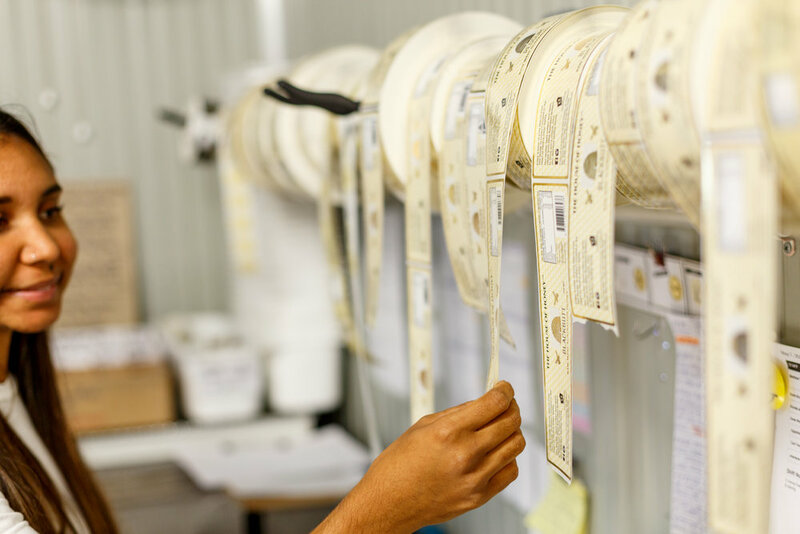 Pasteurization kills any yeast cell in the honey and prevents fermentation, which is a concern for storing honey with high moisture content over a long period especially in warm weather. Heating also slows down the speed of crystallization in liquid honey. On the downside, when honey is heated, its delicate aromas, yeast and enzymes which are responsible for activating vitamins and minerals in the body system are partially destroyed. Raw and unfiltered honey and has a high antioxidant level and will usually granulate and crystallize to a thick consistency after a few months.